It might look like paper is making a comeback in the business world in 2016, but the truth is that this universal format never left the spotlight. Recent research has revealed that upper level decision-makers are still heavily in favor of using paper products in their workflows, especially in small and medium-sized business settings. Sure, digital processes are becoming more prevalent, but there seems to be no replacing the tactile convenience and reliability of paper in the workplace. Here's a closer look at the latest findings on enterprise paper use, and why business leaders should take their procurement and distribution a bit more seriously in 2016. One would think that today's C-level leaders would be fully immersed in the tech trends of the moment, especially those related to core business tasks such as document management and workflow optimization. But as analysts at Wakefield Research recently discovered, decision-makers want to keep paper on their desks, according to CIO. Nearly three-fourths (73 percent) of SMB owners and leaders print documents four or more times every day. So how are these decision-makers using paper, and what is compelling them to stick with a format that has recently come under fire from technologists everywhere? The source explained that departments across the enterprise are still set on the use of paper, especially human resources, legal teams and accounting. 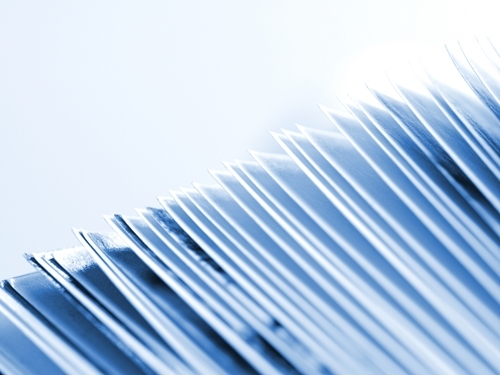 Corporate workflows in the onboarding and invoicing processes are also largely paper-based. Since top-level leaders are still so reliant on paper, they may find that print technology services can help them automate these workflows, making life easier for administrative teams and reducing the daily workloads throughout departments. With prepared document resources at the ready, owners and decision-makers can focus better on the tasks that truly matter to the health of the business. It's not just the top-tier decision-makers that rely heavily on paper from day to day. Gartner Research Vice President Ken Weilerstein told CIO that the average employee prints about 400 pages every month, despite many offices attempting to achieve a paperless ideal. When it comes to collaborative tasks, paper simply has no equal. Furthermore, physical documents are still considered far more legitimate in business and legal contexts. "Paper is portable, universal and familiar way to share and annotate documents," says Weilerstein. "It is easier to read long documents on paper than on-screen. Paper is universally accepted as valid for contracts and other legal documents, and the signatures are familiar and accepted to a greater degree than any sort of digital signature." With these points in mind, it's no wonder to see more companies ridding themselves of the pressure to go completely paperless. In fact, as Keith Kmetz, program vice president for imaging, printing and document solutions at IDC told the news source, business leaders are far more comfortable implementing "paperless light" policies, which embrace the use of printing and scanning for external processes. To support their semi-paperless efforts, leaders should consider working with a business forms service provider that handles the heavy lifting of printing and distribution for key workflows across the enterprise. There are, of course, a number of measures an organization can take to improve its current workflows, even if decision-makers and employees want to hang onto the paper-based processes they know and love. CIO recommended that companies move away from large, centralized multi-function printing and scanning devices, instead installing but more immediately accessible printers for individual business teams. "We're not advocating that you get rid of all copiers and MFDs," explained Brother International spokesperson Jeff Sandler, according to the news source. "We're seeing smaller groups of employees using smaller devices closer to where they work." Additionally, experts say that mobile devices can be used to request print jobs in a more simplified and streamlined manner. Ideally, employees will be able to quickly print documents on the nearest device, regardless of their location in the office. Businesses can also handle print needs upfront by working with a large-scale document distributor, ensuring that forms and other print materials are prepared for use at any given time. Clearly, paper isn't going anywhere in the modern office environment. Now, it's simply a matter of how decision-makers approach paper-based processes and achieve the most efficient workflows possible for their operations.